Europe. Asia. Remote islands. When you hear these, you immediately think "$$$." But that's not necessarily the case! 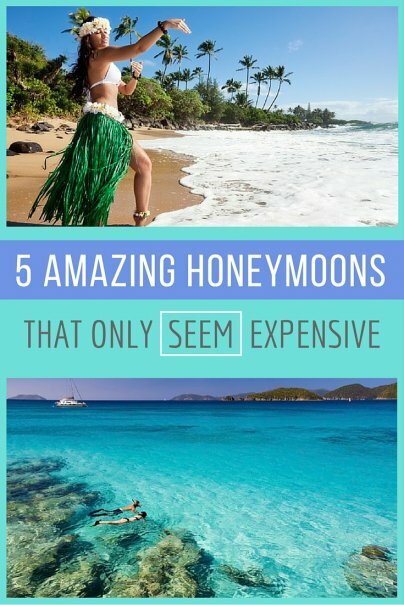 You can easily find ways to afford these five amazing honeymoon spots! This may sound crazy, but there are ways you can make a trip to the Caribbean work within your budget. The U.S. territory of Puerto Rico uses U.S. dollars, has a large English-speaking population, and has really affordable flights from the states. For example, a flight from LAX to SJU in November (right before the busy season of December through May) is only around $300 per person. The rainy season of September through November is good for lower rates and fewer crowds. 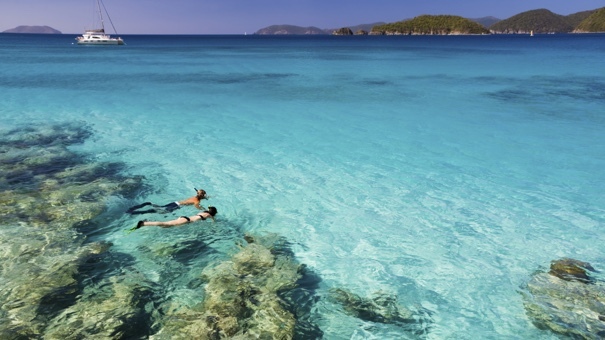 The mid-summer peak time can work if you pick cheaper destinations such as Belize, the Dominican Republic, or Puerto Rico. 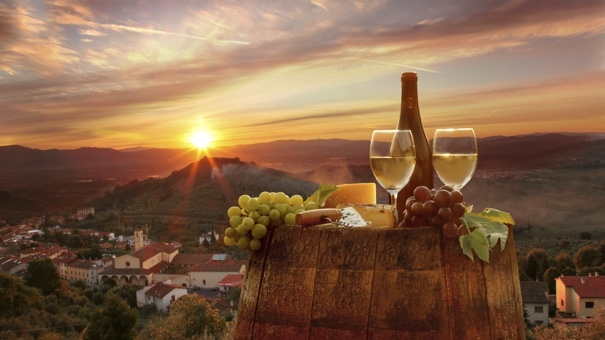 You can live that Tuscan dream if you play it smart and plan it yourself. The most affordable time to fly to Italy is November, but you will be facing a few trade-offs: Fewer attractions may be open and weather can start getting rainy and harsh. October is just before the lowest month and can be just as affordable with more options for accommodations and temperate weather. April is also a good, affordable time, as schools are still in session. Consider getting a Eurail pass, as it will pay for itself very quickly. For as low as $190 per person, you can get a pass that will allow you to visit multiple cities across Italy. This means you can hop on a train, go to a new city, and have a new budget adventure with little planning. You don't want to settle for a two-star hotel or a hostel. Getting an Airbnb rental is definitely your best bet for a honeymoon-appropriate, Instagram-worthy stay. Accommodations like this chic studio in Milan or this spacious canal-view apartment in Venice are great examples of luxury on a budget. So you want to be snow bunnies by day, and cuddle by a fireplace in a chalet by night. It's entirely possible without paying Vail or Swiss Alps money. The countless great mountain ranges in America means lots of ski towns are relegated to "deep cuts." This equals savings for anyone looking to celebrate their winter nuptials in a less famous setting with equally dramatic views. With places like Red Lodge Mountain in Montana, Taos Ski Valley in New Mexico, and Mt. Bachelor Ski Resort (fun irony) in Oregon, you've got some great affordable options. Shoulder seasons are your friend. Late October through mid-November, and the tail end of the season from March through April, are great times to still get some skiing in while enjoying the peace and quiet of non-peak times. If you've always wanted to galavant a dazzling city scape, savor Chinese cuisine, and enjoy the luxurious shopping experiences of Hong Kong, know that it can be done without the sky-high prices. China has recently made it much easier for American tourists to plan their trips with a new tourism website and easier to follow visa guidelines. Airbnb is, again, a great way to go. You can rent a brand new luxury condo for half of what a hotel room will cost you, before tax! This trendy flat, this cozy suite, and this roomy apartment are all great options for well under $200 per night. This classic U.S. bucket-list vacation spot sounds like an expensive splurge, but it's totally reasonable and within reach for couples on a budget. Luckily, there are lots of little pockets to fly to Hawaii throughout the year: January through late February, the first half of March, late April through early June, mid-August through early November (just watch for storm advisories), and the end of November through mid-December. Any major holidays, three-day weekends, or school breaks should be avoided. During the above times of year, you can find boutique hotels at discounted rates. Larger resorts tend to start their rotating renovations and repairs during the off seasons, so be sure to ask for the lowest rate while asking to be placed in a room as far from the renovations as possible (you might have to get a manager on the phone, but it'll be worth it). Follow Beat of Hawaii for up-to-date Hawaii deals. Don't get stuck on expensive and boring group tours. Simply rent a car and go on your own self-guided excursions. You can even make friends with fellow hotel guests and go on long drives in a friendly caravan. Any other great frugal honeymoon ideas? As a Hawaii resident since 2007, I wouldn't recommend to visit the islands during the last days of April and the first days of May. The Hawaiian Islands are overrun with tourists during Japan's "Golden Week", when most businesses are closed and travelers from Japan head in droves to Hawaii. The bulk of our visitors are from Japan. During that week, you'll have a harder time finding accommodations and renting cars and, if you're able to get them, you're very likely to pay a premium! You do know that Hong Kong and China have different currencies right? HK is tied directly to USD (7.75) so the exchange rate argument is moot.